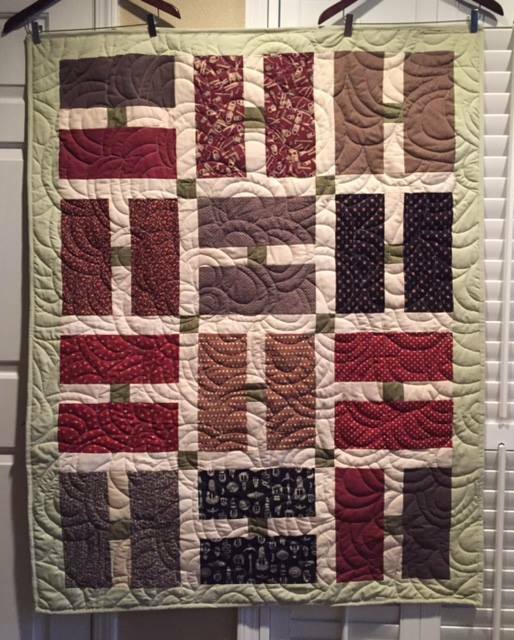 Our Stitching Comforts Committee is responsible for quilt donations to several groups throughout the community and beyond. 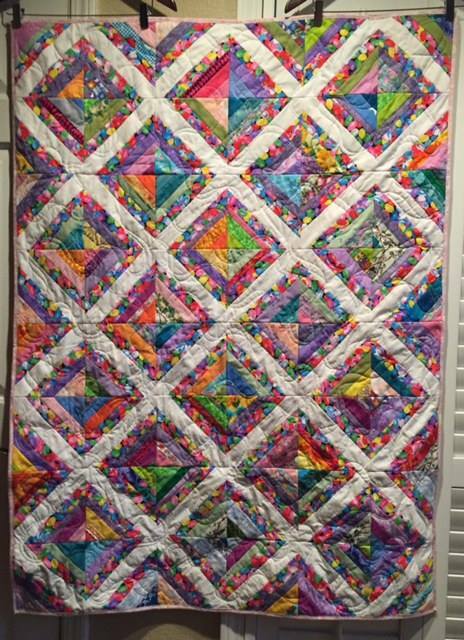 We give quilts to the Human Solutions Family Center, "Passages" quilts to terminally ill patients at Mt. Hood Medical Center, and baby quilts to the Boxes of Love Project. 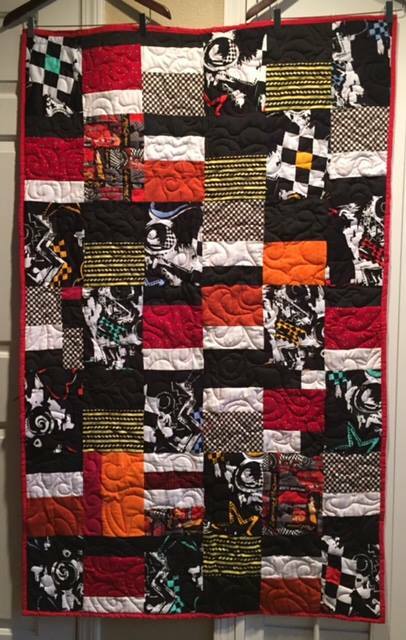 We also donate quilts to Quilts Beyond Borders, Ronald McDonald House, Pregnancy Resource Center, and some of our members make Quilts of Valor for service members and veterans. Pink Sistas, a local nonprofit that hosts retreats for breast cancer survivors, is collecting flannel pillowcases. Click here for the instructions for the pillowcases. There are loads of free patterns available on the web for charity quilts. Try Arizona Blankets for Kids (click on "Patterns" in the left-hand menu bar), and MaryQuilts.com, both of which have numerous pattern ideas. 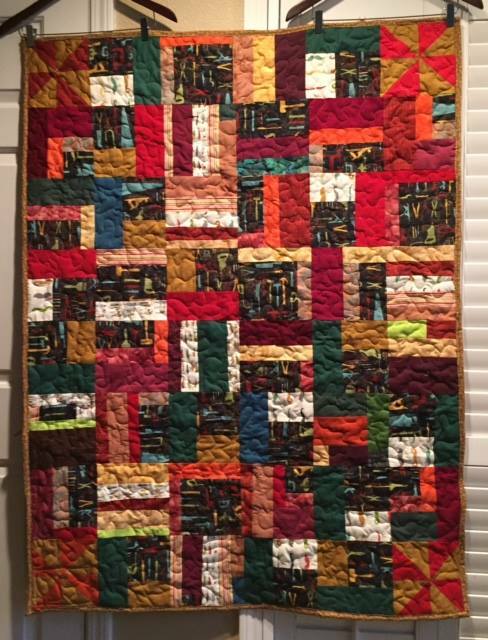 Quilts of Valor - approx. 60 by 80"
Below are photos of some of the lovely quilts made and donated by members of our Guild. We also collect underwear and socks for the Human Solutions shelter at every meeting. Work days to make donation quilts are more FUN than work!